News of Harper Lee's passing broke today, and I want to take this time to pay my respects to her and to one of my favorite, most cherished books of all time. I first read this book as a high school student, and while I enjoyed it then, I couldn't have realized at the time the tremendous impact it would have on me until well over a decade later, when I became a teacher myself and taught it to my own students. What can I say about this book that hasn't already been said? It is a life-changing novel about racism, justice (or lack thereof), empathy, and kindness. It's also a novel about growing up. It's a novel about a certain type of loss of innocence, one that involves learning hard truths about the people around us, but that also asks us not to harden our hearts. "If there's just one kind of folks, why can't they get along with each other? If they're all alike, why do they go out of their way to despise each other? Scout, I think I'm beginning to understand something. I think I'm beginning to understand why Boo Radley's stayed shut up in the house all this time... it's because he wants to stay inside." It's also quite a funny novel, to be honest. For all the important, serious issues that it covers, there are also many, many hilarious, tongue-in-cheek moments that are absolutely chuckle-inducing. It's a novel that I treasure so much that I can't even teach it every year, because I need to save some of it for myself, if that makes any sense. Is that a selfish decision? Sure, because it means that there are students who have gone through my class without having read it. But hopefully you can understand the part of me that wants to protect this book, to keep it precious, because it just means so much to me personally. But for every student who has ever told me "Ms. Ngo, this book is boring" or "I don't like it," there have been many more who've ended up cherishing it as much as I do, and that's what has kept me going all these years. 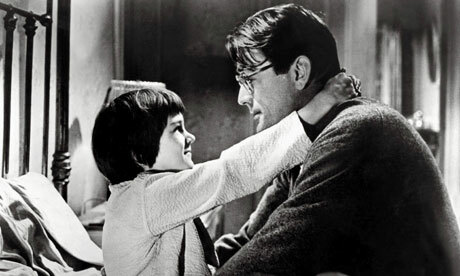 Nelle Harper Lee lived a long life, and I know she was able to see the impact that TKAM had on everyone who read and loved it. So all that's left now is to stand up and show our respect to this incredible author who gave us so much with one extraordinary novel.